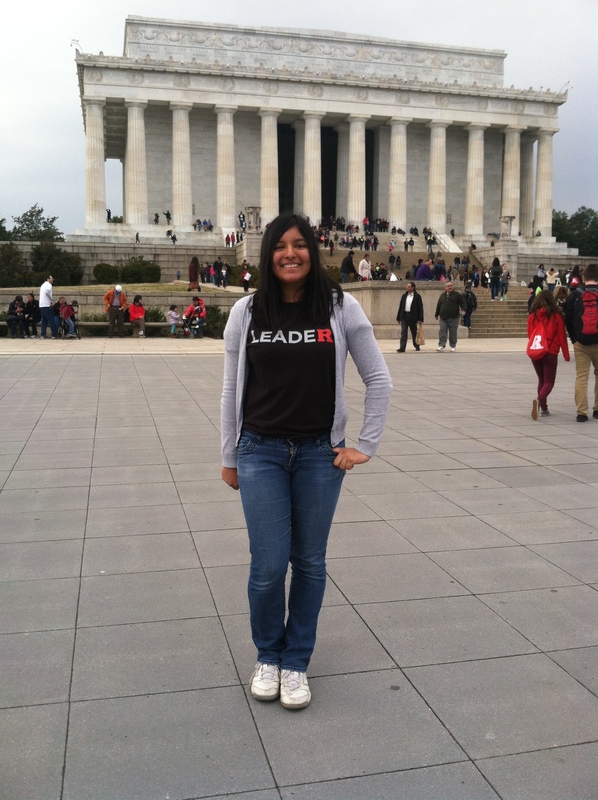 « DCLead14 Spotlight: I’ve become a Rutgers Student Leader … what RU waiting for? 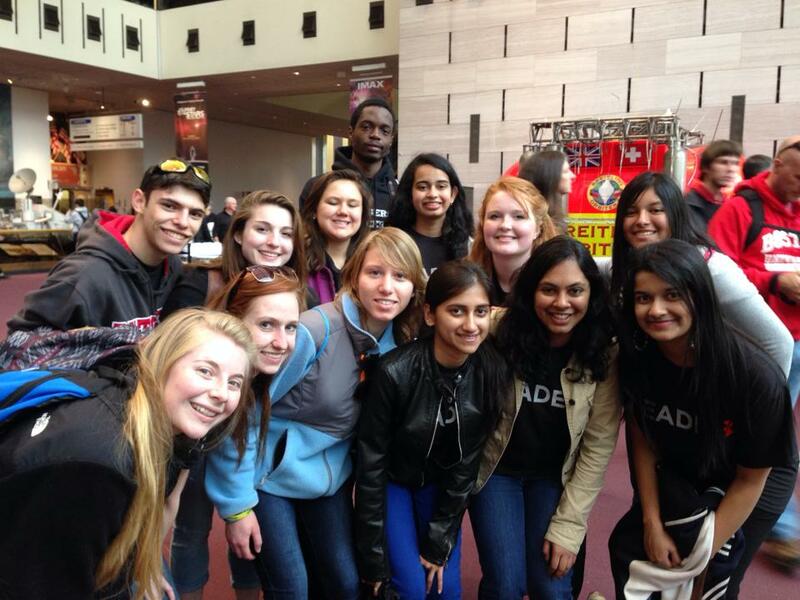 DCLead14 Spotlight: I was able to serve and gain a family… what R U waiting for? Those were the words that I tweeted Tuesday night after our leadership activity of the night. 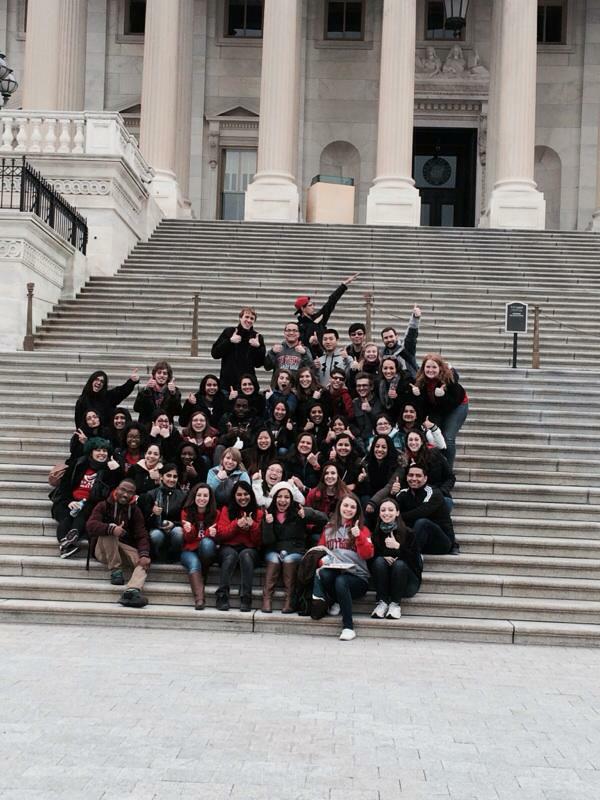 For spring break, 40 first year Rutgers students including myself embarked on a journey to Washington, DC to do service specifically engaging with the issues of hunger and homelessness. Personally speaking, I thought that we were going to do service and then meet some other first years and that would be it. This experience was so much more than that, I am so happy that my assumption was wrong. In the morning we participated in service projects ranging from volunteering at a food pantry, to working at a youth shelter, to preparing 5000 meals at a local kitchen that serve the DC community. However, aside from serving the people of DC, this trip focused a lot on leadership development. Thought the various activities, we were able to discover things about ourselves and each other that we didn’t know beforehand. We learned about assumptions and privileges. The activities strengthened us not only as a team but as a family. After the activities and the service trips we were able to reflect upon all that we had experienced that day. Reflection allowed people to be vulnerable and open up their feelings in a nonjudgmental environment. Every individual on the trip was able to feel a connection to the activity we participated in or the service we took part of. My favorite service activity that we participated in was on Wednesday when all 52 of us, students, site leaders, and staff partners, worked together to cook a meal for about 100 people. Our guests of the night were anyone who wanted to share a meal. That ranged from those who were homeless, to those who may have needed a meal or maybe just a conversation. Everyone played a board game with the guest at their table and we were waiters and waitresses for them during the dinner. The best part however was getting to talk and personally know the individual. They all had such different and fascinating stories. They were very humble and kind and they exemplified such joyous souls and personalities. All of my fellow friends connected to their guests. The guest that I spoke to reminded me of my uncle. Our meal with our honored guests reiterated the fact that those who are homeless are not just homeless, but they are human beings and deserve respect. In this society many people tend to dehumanize those who are homeless and treat them as if they are lesser. However they are not and they require basic human needs: love, attention, and interaction. In addition to the fact that we gained and learned so many skills and experiences, one thing that we made was a family. Coming into this trip, I personally knew one person. I was scared that I wouldn’t get to know others and that the majority of people would already know each other. However, beginning on the first day we became an unbreakable family. We shared deep secrets with each other that most of us couldn’t share with our closest friends. We laughed, cried and took millions of selfies. But we will never forget the bond we made and experiences we shared. We also formed a great bond with our site leaders. They became mentors for us and people we could joke around with or whom we could count on to process a difficult experience. If someone were to ask me if I would so this again, I would say yes without a doubt. Nothing can compare to the experience and all that I have gained from this trip. I was able to serve and gain a family, what R U waiting for? Nicole Ramos is a School of Environmental and Biological Sciences freshman studying Nutritional Sciences under the Dietetics option. She is also a resident of Douglass Residential College as well. Nicole is on the Douglass Orientation Committee, a Red Pine Ambassador, a member of RU Gluten Free, an Udi’s and Glutino Campus Ambassador, and a member of the First Year Fifteen Leadership Program. She aspires to become a dietitian and work for a non-for-profit in the future. This Post was tagged alternative break, community service, DCLead14, first year, leadership, service. Bookmark the permalink.